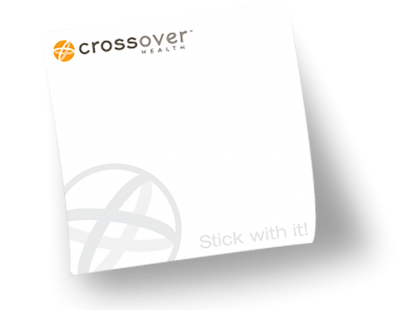 Crossover Health | #newyearnewme. Planning for success. 07 Jan #newyearnewme. Planning for success. For most of us, the phrase “New Year’s resolution” leaves us feeling a bit skeptical or squeamish. Why? Because all of us have crashed-out on meeting our goals in years past! It’s hard to kick start a new behavior, especially without proper motivation. While the first of the year is a seemingly reasonable time to do so, without a good motivator for change we are less likely to actually follow through with whatever it is we want to change. I’m going to spend some time in this and future posts talking about how to set the right goals that set you up for success, how to get started and – most important – how to stick with your resolution. Succeeding in your goal is an awesome feeling and the best motivation to go that next step, even when it isn’t the New Year. So how should you start? Making meaningful change takes hard work, dedication, and a strong desire to improve. To help increase motivation, keep your eye on the prize! Remind yourself about “why” you want to put in the hard effort to achieve your goal. How important is it to you to make change in your life? Pro tip: Try to find a way to do it for yourself. Specialists in the field of motivation commonly remind us that internal/intrinsic (rather than external) motivators are strongest and longest lasting. Are you ready? Do you have a specific goal in mind? Then it’s time to get started. 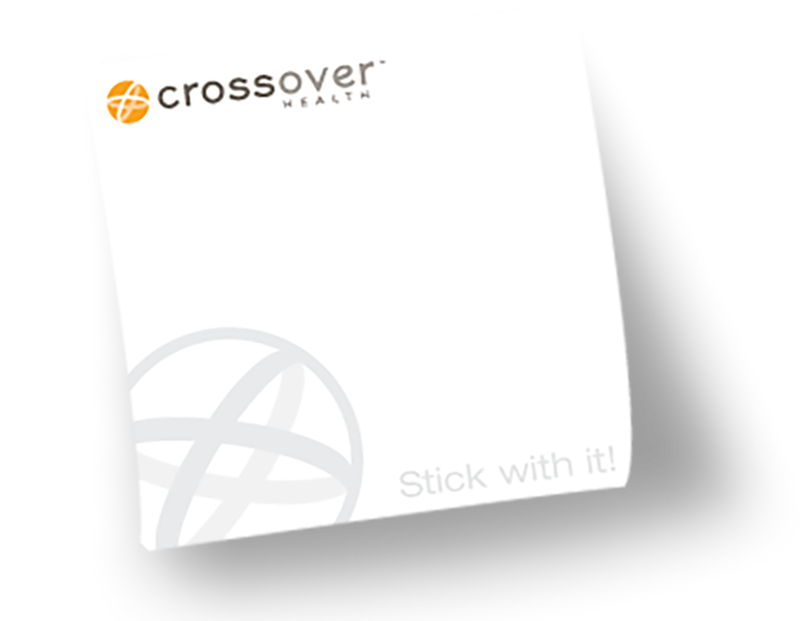 Come in to Crossover to see me and our team, and get your health screening to help you find out where to focus on the new you. If you want to know more about setting goals, sticking to them, and achieving your best health, come to a special presentation I’m giving on January 14 and January 26 at the Practice. And if you want to follow up with me with questions or comments outside of our health center, talk to me on Twitter. I’m @RossNelsonPsyD.